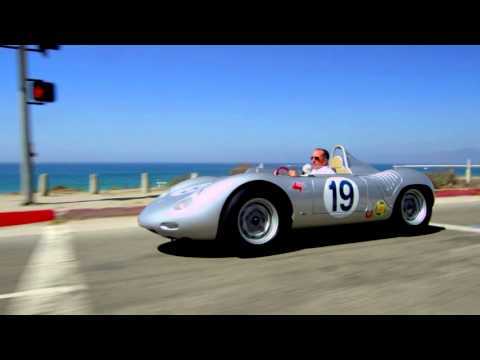 This video shows Mr. Seinfeld driving the Porsche 718 before he sold the car. The footage is from Comedians in Cars Getting Coffee. The sound of the 718 RSK is intoxicating and better than just about any car on the road. Check out the video and then scroll down to the comments to let us know what you think of the classic Porsche. We’d also like to hear your thoughts about Porsche using the 718 designation for the newer Boxster and Cayman. I think the 718 RSK is one of the best looking cars that Porsche has ever made and the Boxster is the best looking and best handling car they make presently.